Constance Le Muria Resort & Spa. We have personally visited a large number of properties in Seychelles. Le Muria on the island of Praslin is a 5* luxury Resort. 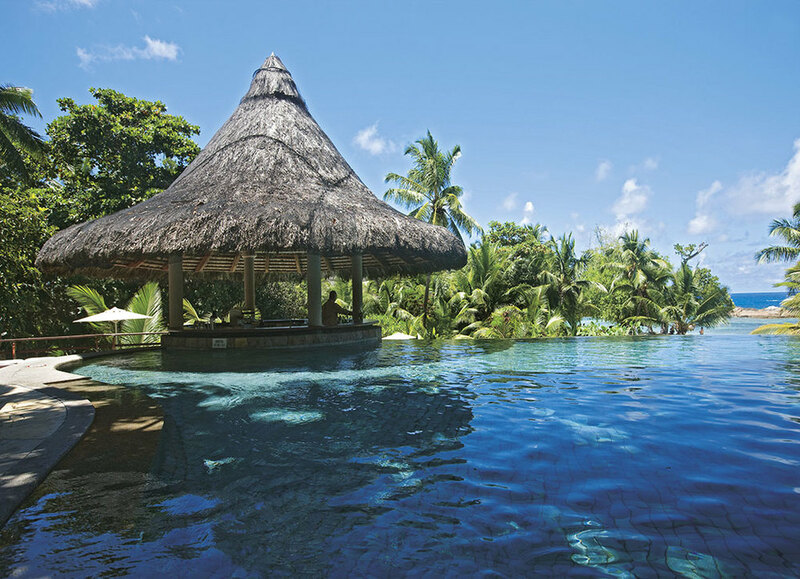 Suggested for a perfect holiday in Seychelles by Time and Place Luxury Holidays. Constance Lémuria Resort - "The Lost Paradise"
Imagine a setting of lush vegetation which has been untouched over the centuries. The story is that, when the continents parted, a small piece of paradise survived, Lémuria. Nowhere else could this be as true as in the Seychelles. Especially on the white sandy beaches of Anse Kerlan, where turtles still lay their eggs in total tranquillity. Enjoy the elegant luxury of the spacious suites and villas with views over the Indian Ocean. Unwind in swimming pools seemingly crafted by nature, indulge your passion for fine food, ultimate comfort and joyful excitement. Fully trained coordinators at the Constance Kids' Club will lead your children to trips of island exploration, culinary activities, scavenger hunts to name a few. We create a variety of holidays for all sorts of people, let us tailor make one specific to your personal requirements.